On June 13, Cave In, Old Man Gloom and Zozobra played a benefit show along with Converge and The Cancer Conspiracy to honor the late Caleb Scofield. The show was originally live streamed, and now the full concert has been archived and is available to watch in its entirety. Watch it below. 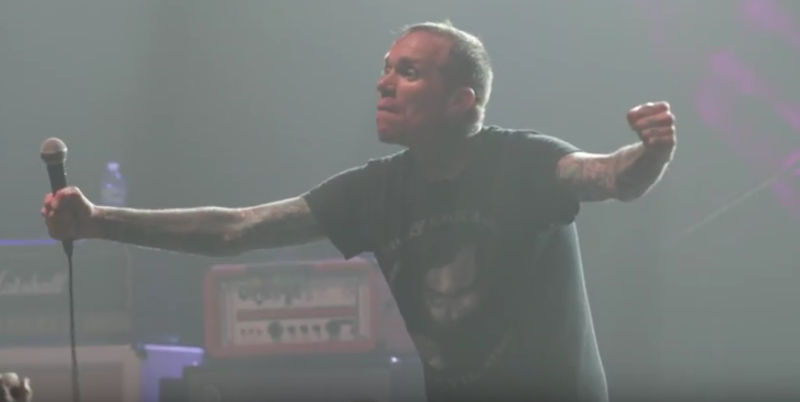 “There are some audio issues during The Cancer Conspiracy set, that get remedied quickly. Thanks for watching,” Converge writes via Facebook. During Cave In’s set, the band starts off with Caleb’s brother Kyle on bass and frontman Stephen Brodsky on acoustic guitar, and they cover Neil Young’s “Harvest Moon.” The band also played “Tension in the Ranks” for the first time since 2004, and “Off to Ruin” for the first time since 2006. All of the proceeds were donated to Scofield’s family. Another benefit show is happening October 13 in Los Angeles, with Isis reuniting for one night as Celestial, as well as Pelican, 27, Cave In and Old Man Gloom.